Whenever things go wrong with business contracts and you have to go over the business agreement documents you realize that there are terms you wished you could have changed or not agreed to, you wish you could have given more to attention or at least hire a lawyer to translate things for you. Most people sign business contracts without knowing the implication of the terms, they’re just presented with documents to sign and they just do it without taking a look, while some people will get into business without even signing a document, they believe word of mouth is enough, they thought all these processes of drafting and agreeing or signing is a waste of time. Millions of people everyday click the “I agree to the terms and conditions” button without even bothering to visit the terms and conditions page, more especially when making purchases. That’s why most people end up having a problem with a company when requesting refunds for product and services. For sure if things go smoothly to the end of the deal there is no any regret. But most of the time business deal can go wrong and that’s where contract terms will prove their importance. If you’re reading this, chances are that you have previously signed a legal agreement by force. You have either signed a rental agreement for a particular product and have accepted terms of service of some website without even going through the agreement terms. Such types of agreement are called adhesion contracts, meaning that a consumer doesn’t have the freedom to negotiate the contract terms. If you take a look at social media sites as an example, they always send messages to users regarding terms and conditions update regarding data usage for your personal information, and what we do all the time is to click “yes I agree” without knowing what they could possibly do with our personal information or the content we shared on their platform. Most people don’t give a second thought to read such contract terms they just agree by signing or clicking a button. It is strongly recommended to through the terms of any contract so that you know your rights and responsibilities. Consumers can sign contracts and agreements without paying a good attention to the details, but when it comes to business deals careful attention is needed from both parties to ensure that they fully understand all business terms. It is highly recommended to hire a lawyer that can translate the terms for you clearly. Most people use templates without many edits to draft their contract agreement. 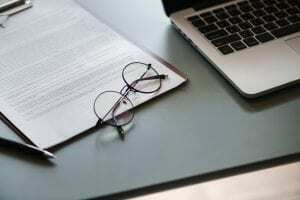 A simple search online will give dozens of pre-written contract agreements, but one thing is that these templates can’t provide you with exactly what you need. Templates might still be useful but you have to go through each term to make sure that it is what you need, the wrong template will definitely give wrong results. You need to have a team in place that will manage all your contracts. Signing a contract is just the beginning, over time you still have to manage the contract. If the contract is not managed well, problems may arise. Some parties might decide to walk out of a contract before the term ended, while some contracts are renewed automatically after some time. If you manage and maintain contract agreements by yourself you will definitely forget with some contract expiry dates, that’s why it’s good to have a team in place that will handle all your contract process. Making your contract very complex will make things difficult for both parties; it’s advisable to make simple and clear statements. You should first agree to the main elements of the contract, you can then draft a written contract like price, work, e.t.c… your contract terms should not be more than 2-4 pages. You should always hire a professional lawyer that can monitor your activities. You should involve your lawyers at an early stage of any contract. Your lawyers can fill in any gap you might leave and they can help you with your negotiations. At Massey & Duffy we have professionals that will help you craft out good contract agreement and also help you conduct good negotiations for your business, visit now for free consultation. Discovery why many people think we are the best Florida lawyers.